For the past twelve years UCA’s delegates to the Model United Nations have continued a tradition of excellence, achievement and a collection of numerous awards. The UCA MUN program has been under the leadership of Social Studies coordinator Mr. Bassem Akl since its conception. 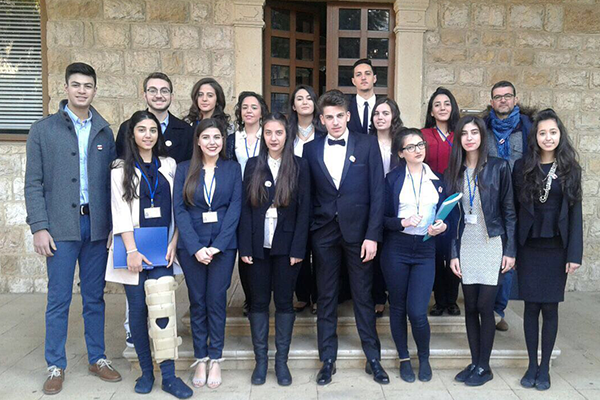 He states, “In addition to holding the title of Secretary General six different times, and representing Lebanon at the United Nations in New York, this year’s participating group of delegates has proven to be no exception to our tradition of excellence.” The 2016-2017 UCA HS and MS MUN delegates made their teams proud, receiving three Diplomacy Awards and seven Position Paper Awards. Well done team!